Blow off valve(BOV), bypass valve or dump valve is a pressure release system present in most turbocharged engines. 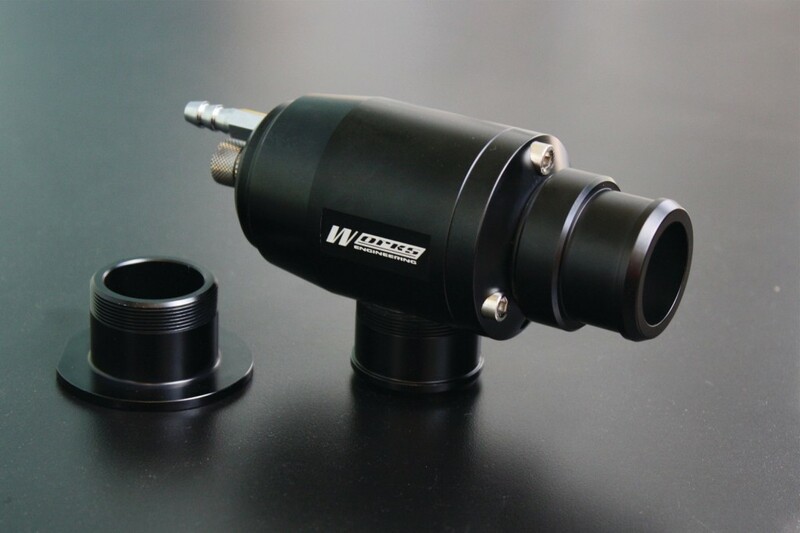 Its purpose is to prevent compressor surge, and reduce wear on the turbocharger and engine. Blow off valves relieve the damaging effects of compressor "surge loading" by allowing the compressed air to vent the atmosphere, making a distinct hissing sound, or recirculate into the intake upstream of the compressor inlet. A blow off valve is connected by a vacuum hose to the intake manifold after throttle plate. When the throttle is closed, the relative manifold pressure drops below atmospheric pressure an the resulting pressure differential operates the blow off valve's piston. The excess pressure from the turbocharger is then vented into the atmosphere or recirculated into the intake upstream of the compressor inlet.